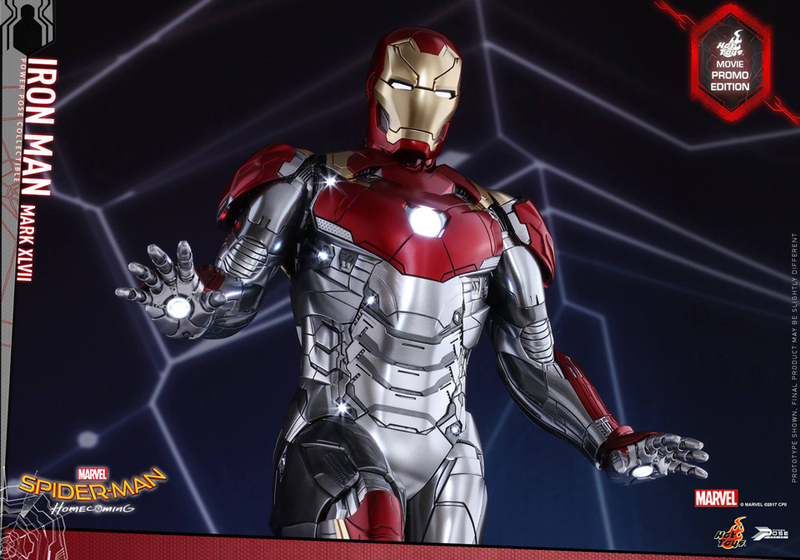 Hot Toys gives us a preview of one of the suits that Tony Stark will use in Spider-Man: Homecoming. 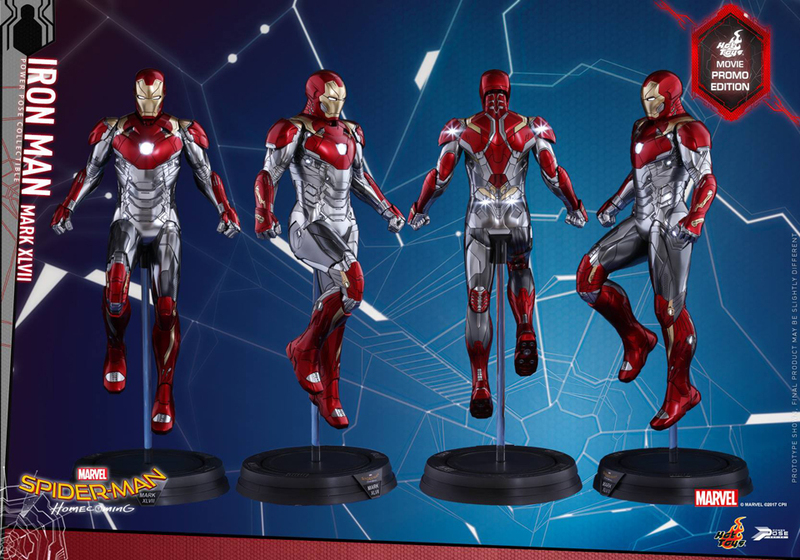 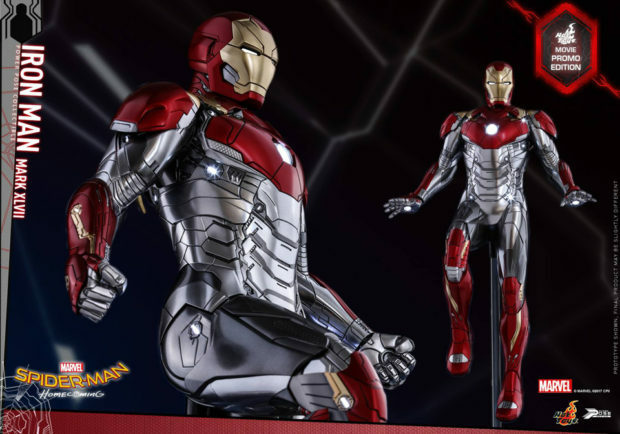 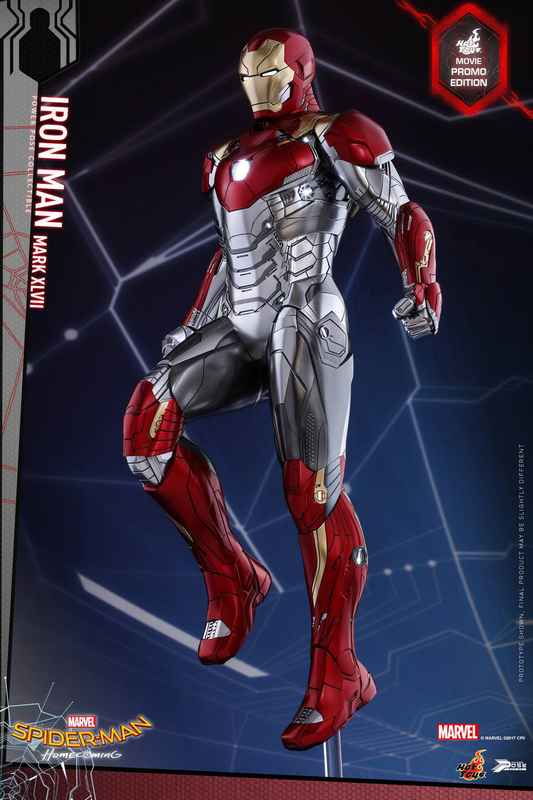 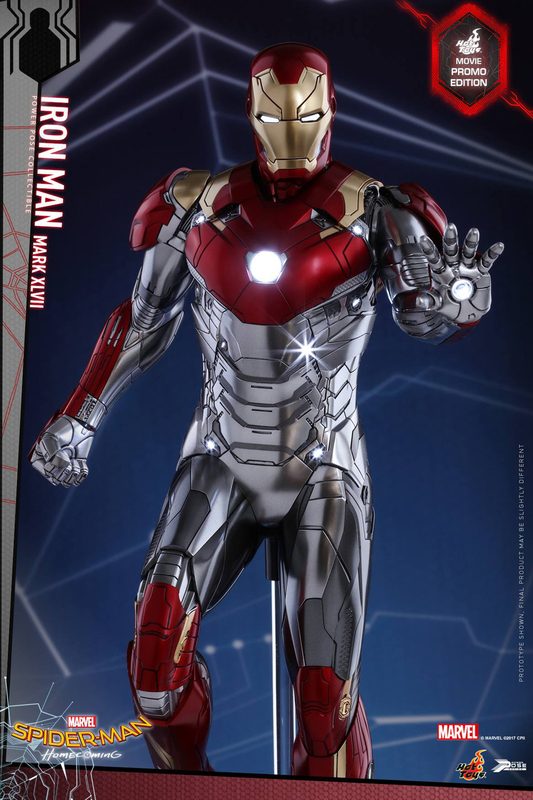 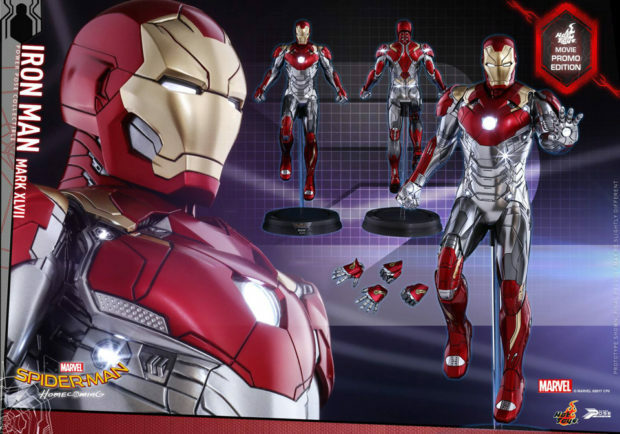 This sixth scale action figure Mark XLVII is a limited-edition collectible that will only be available in select official Hot Toys distributors. In the case of the US, it’s none other than Sideshow Collectibles. 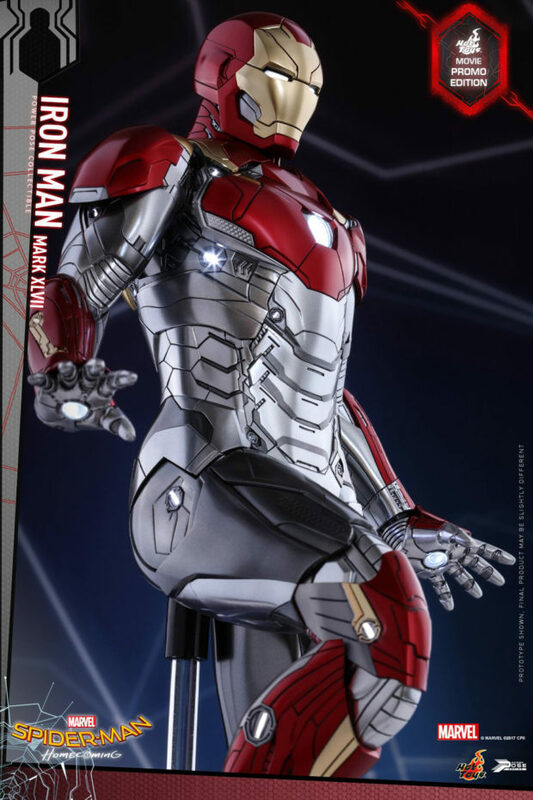 Even though the action figure has a ridiculous 28 light-up points – what use does Tony have for side knee lights?! 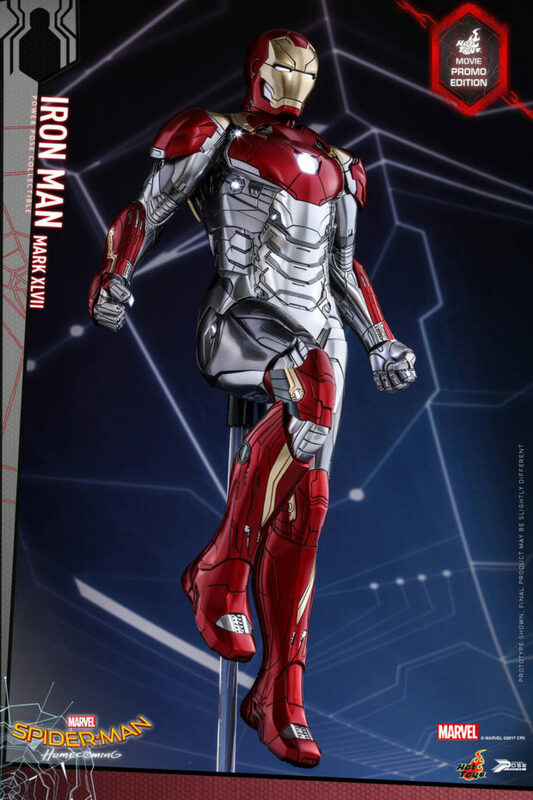 – I actually love how the armor looks, including its cosmic silver, red and gold color scheme. 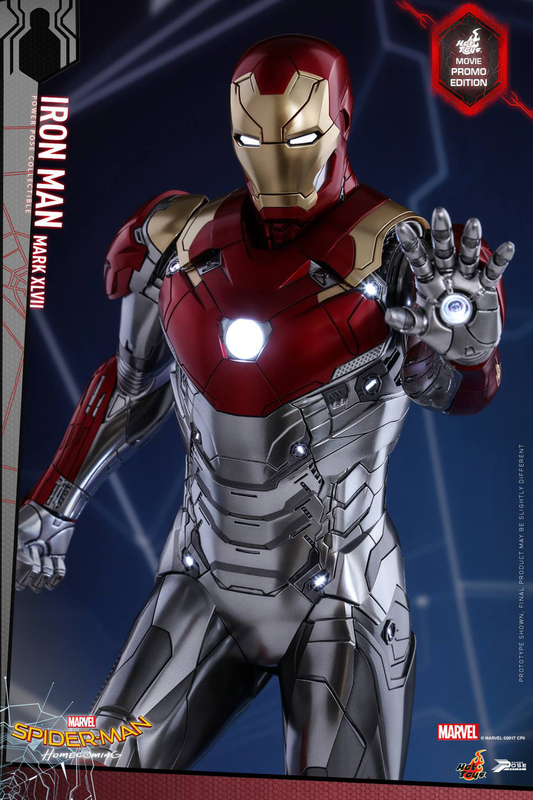 Note that the figure has only five points of articulation, which are situated in his head and arms. 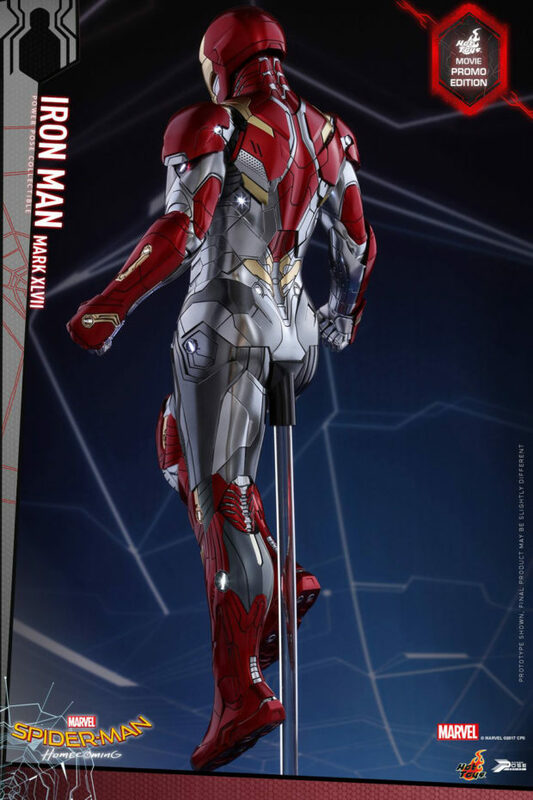 That means you can’t adjust its legs and it’s pretty much stuck sitting on that transparent pole. 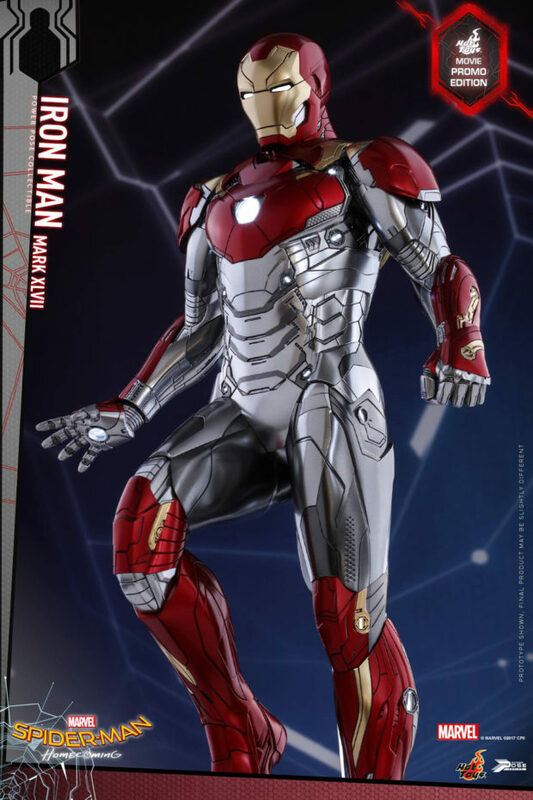 You can pre-order it for $190 (USD).